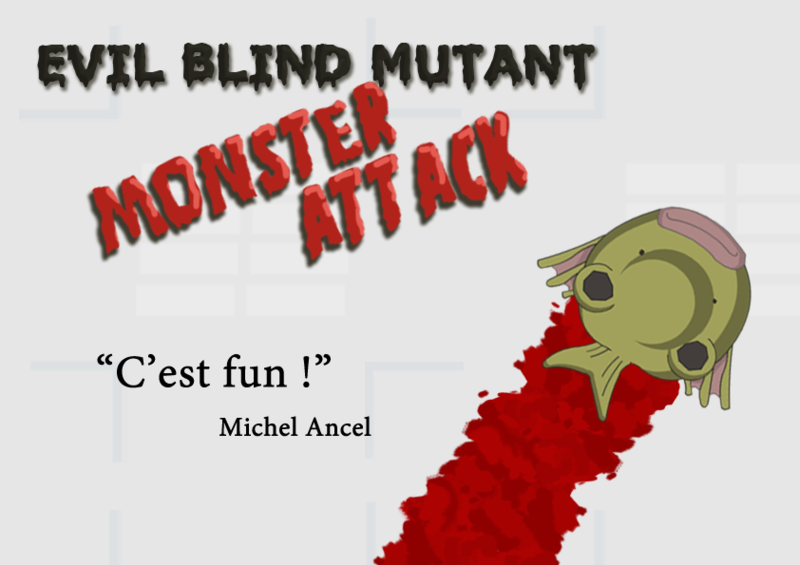 Evil Blind Mutant Monster Attack is a two-player game. The first one plays a scared scientist and plays with no sound. The second one palys a blind evil mutant monster and plays with headphones but without visual feedback. The monster has to catch the scientist. The game was playable during an exhibition about video games at the “Cité des Sciences” in Paris, in 2013. More details about the exhibition in French.